If you are a freelancer, you may not care for legal terms or contracts. After all, legal terms can be difficult to read. Plus, they can seem intimidating and hard to understand. But, there are times when freelancers need a contract in place to provide them with legal protections. After being burned a few times by not having a contract in place, I now require contracts with all of my freelance clients and contractors. 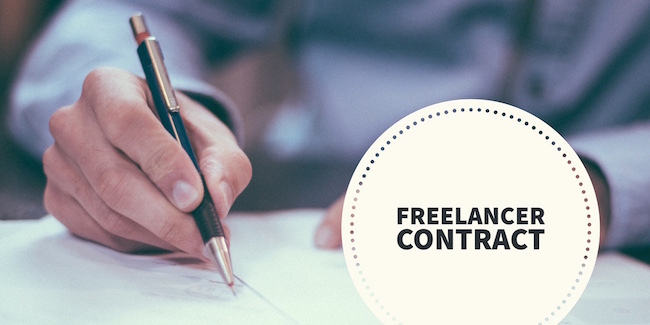 In case you are not convinced that you need contracts for your freelance work, here are 4 situations when you would definitely need a contract to protect you. Entering into an agreement with a client takes trust. You trust that the client is going to pay you for the work you do. The client trusts that you will get the job done. But when it comes time for payment, some clients won’t fulfill their end of the bargain. They may give you excuses about why they are not paying for the work you have done. Others may give you the silent treatment. Either way, if you don’t get paid, the precious hours you spent on the job were wasted. A signed contract can help reduce the likelihood of you not getting paid. Of course, there are some clients who will still try to wriggle out of paying. However, if you have a signed contract, you may be able to take legal action against them if they continue to refuse payment. If you haven’t yet had a situation in which a client has tried to get more work out of you than initially agreed upon, you probably will at some point. Having a contract can help you avoid this eventuality by clearly defining the scope of work each party expects and agrees to. Otherwise, you run the risk of the client requesting additional work you didn’t agree to at the beginning of the project. With the scope of work clearly defined in the contract, you can at least ask for additional pay before agreeing to expand the scope of work. Sometimes you just need to fire your client. For example, I’ve had clients in the past who would call or text incessantly. Even during odd hours, like the middle of the night and on the weekends. They expected an immediate response no matter the time of day. This is harassment you don’t have to put up with, especially if you have a contract in place. It should spell out expectations for assignment deadlines and communication response times. When you need to fire your client, having a contract can prevent you from not getting paid for the amount of work you have already put into a project. What happens when you know your client on a personal level? Any of the above situations can be made more difficult if you do. You may feel reluctant to fire a client because you are friends outside of the job you were hired to do. However, you have to remember you are running a business. If you don’t want to end up with a ruined relationship, get a contract in place. It’s true that having a signed contract won’t force your clients to actually pay you on time or respect you. But if you should end up needing to take legal action for any reason, a signed contract can help.